The 33-year-old was attacked at a maisonette in Spring Close View in the Gleadless area. 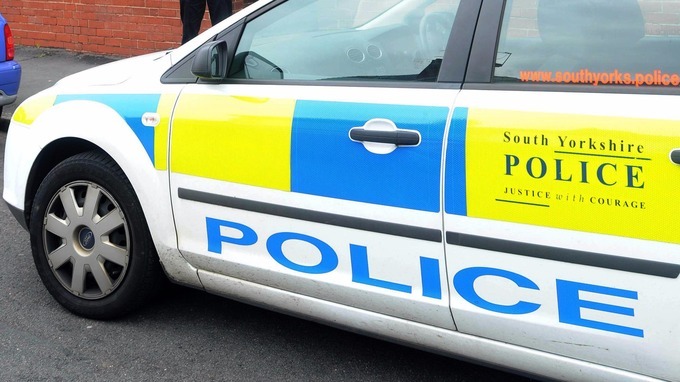 South Yorkshire Police were called to the scene at around 4.20pm, where they seized the animal - visually confirmed as a pit bull terrier-type dog. Police had previously reported they believed the dog was a Staffordshire bull terrier-cross. The dog's owner, a 36-year-old man, was arrested on suspicion of possession of a banned breed and failing to keep a dog under proper control and allowing it to injure somebody; as well as causing unnecessary suffering to an animal. He has now been bailed while investigations continue. The victim was taken to hospital where he remains in a critical condition. Police spokeswoman Jade Sandhu told ITV News that no destruction order had yet been placed on the dog, and said it was currently being housed in police kennels. She would not confirm whether either of the men involved lived at the house where the attack took place. One neighbour told BBC Radio Sheffield that the victim had "terrible" injuries, adding: "I've never seen anything like it in my life". It would be good if the Brits would amend their law, so that any so-called 'Staffie' weighing more than 35 pounds is automatically classified as a banned pit bull. After all, that's the maximum weight the official breed standard allows. Yes, it's true that all 'Staffies' are in fact pit bulls. But if they're not going to ban them, then allowing only small ones would help a tiny bit.